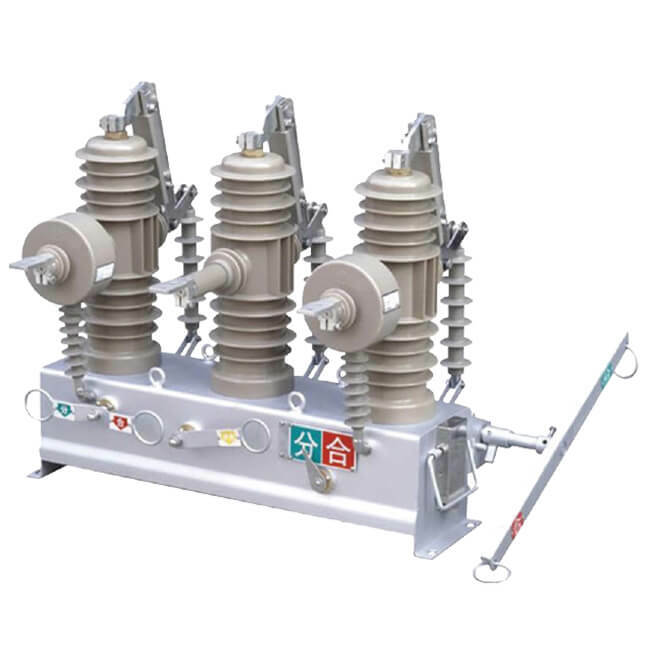 ZW32-12 type miniaturization of outdoor high vacuum circuit breaker (hereinafter referred to as the circuit breaker) is three-phase ac frequency 50 Hz, rated voltage of 7.2-12 kV outdoor high voltage switch equipment. Circuit breaker meet the national GB1984 the high-voltage ac breaker “and professional standard JB3855″ 3.6 -40.5 kV voltage vacuum circuit breaker outdoor exchange “and relevant IEC standard. For industrial enterprise, power plants and substation of electrical equipment for control and protection with, and rural power grid frequent operation place. Circuit breaker has repeatedly open circuit and fast reclose ability.